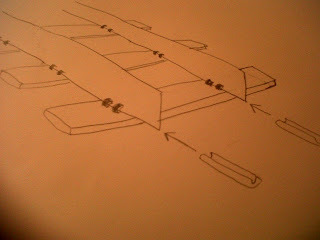 Every stage of this project produces several irritating "nothing is as easy as it looks" scenarios. Joining pieces of flexitrack has done so too. 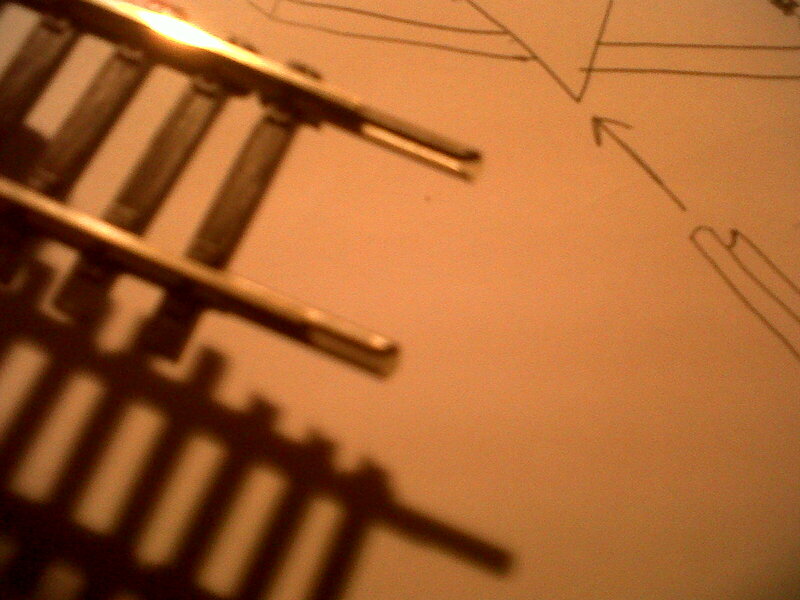 Sections of track have to be joined with fishplates. See these pictures. Initially, the rails protrude over the end sleeper. 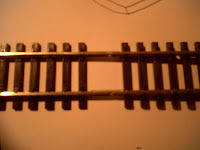 So one slips a fishplate over the ends which allows the bare ends of the adjoining rails to snugly fit inside the other end of the fishplates. 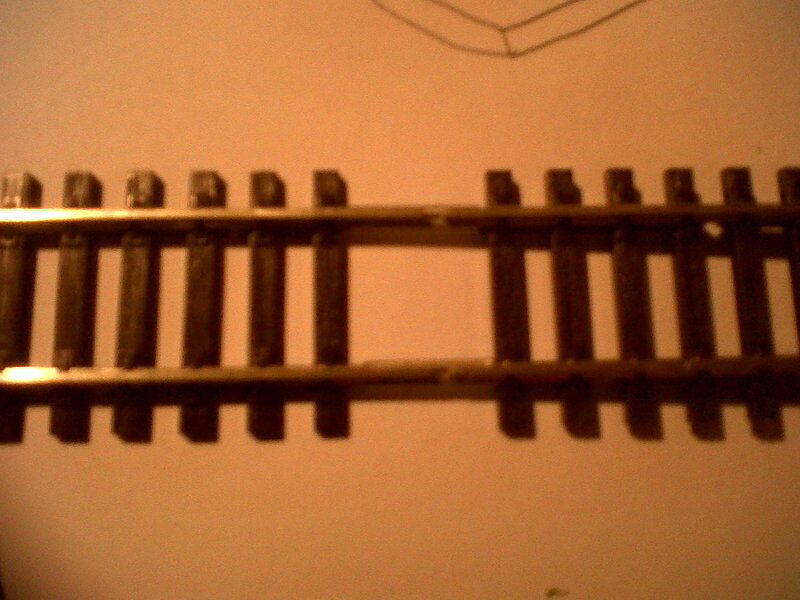 And the rails are joined. 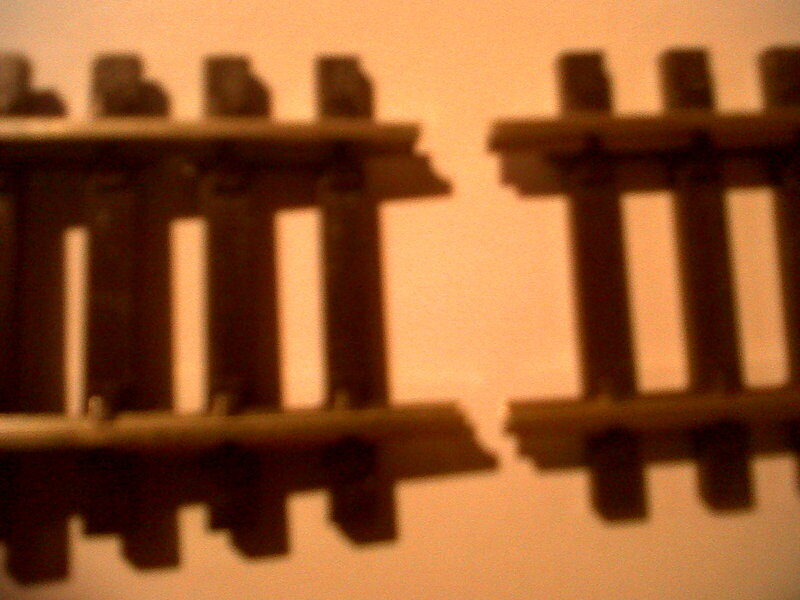 However, the fishplates only go as far along the rails as the first sleeper because there are little catches on top of the sleepers which stop further sliding. This leaves an unsightly space. There are two solutions. One either slips two spare sleepers into the gap; and there is a good youTube video about how to do this. 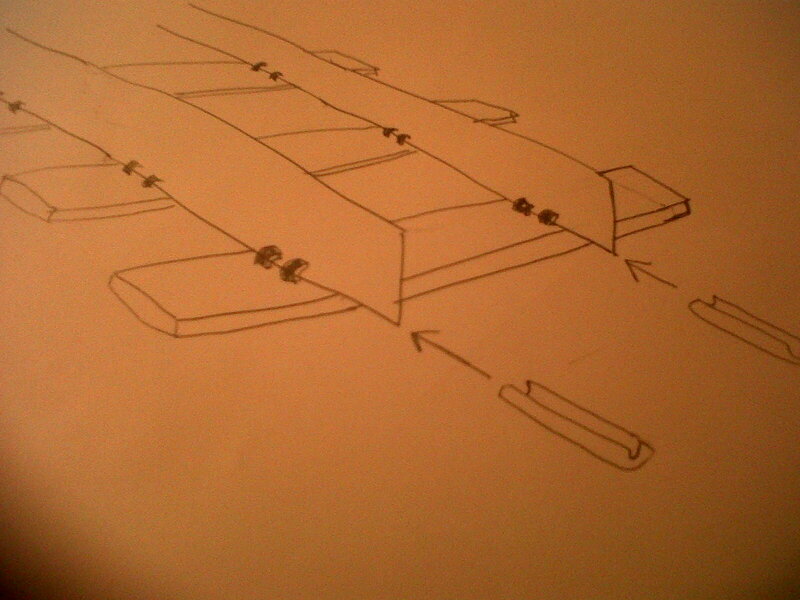 Or one slices off the catches on the end sleepers allowing the fishplates to slide further along the rails.